The Detroit News recently offered an extensive look at the size of Michigan public school classrooms. A reader could be excused for coming away from the article with the mistaken impression that class sizes have an enormous effect on student achievement. 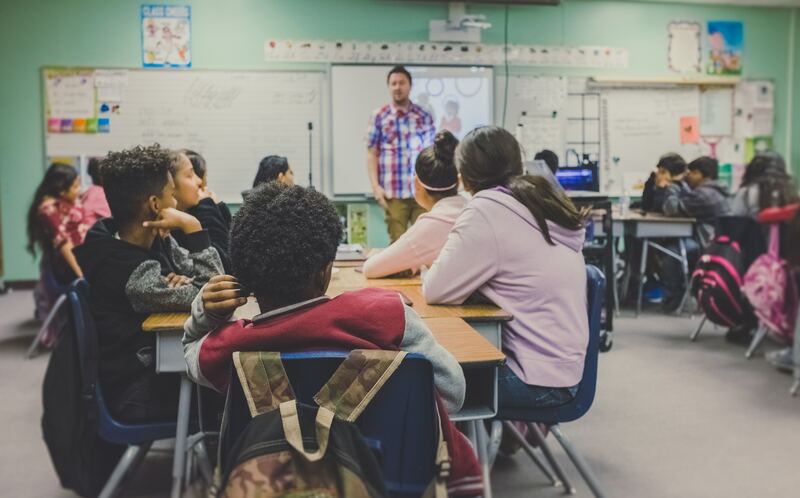 "Despite pleas from parents and local school officials who want the class sizes lowered to improve student academic achievement, Michigan still has no cap on the number of students in a classroom in K-12 schools,” the article explains. It continues, noting that there is also no plan to introduce “reduction programs to reduce crowded classrooms," despite the state's well-documented academic struggles. Much further down in the story, Michigan Department of Education spokesman William DiSessa challenges the thesis: "The research supporting the use of funds for reduced class size as an effective strategy is minimal." He is correct, even if obliquely, about the state of the research. Only a handful of studies have suggested the effectiveness of the popular class-size reduction policy: fewer students in a class leads to improved student performance. But those benefits are mostly limited to certain situations, namely for elementary students of less advantaged backgrounds. The research of large-scale initiatives aligns with DiSessa. Two states that set official statewide limits on class sizes saw practically no return from a huge taxpayer investment. Florida has spent more than $40 billion since 2003 to restrict class sizes, even though a rigorous 2010 study found "no detectable benefit" for student learning. In 2013 California gave up its program after 16 years and after spending over $25 billion, finding "no definitive research" to bolster the goal of improving student achievement through smaller class sizes. The lackluster results can be explained in part by recognizing the tradeoffs that come with class-size reduction. Getting more certified teachers to watch over smaller classrooms entails dipping deeper into labor pools, producing only diminishing returns in terms of quality instructors. That difficulty applies even more here, as many Michigan school district officials say they have a hard time filling teacher vacancies, in part because a strong economy gives potential candidates more appealing job opportunities elsewhere. But we should be asking if the perception that Michigan's classrooms are becoming more crowded is even realistic. Cause for confusion in the News article springs from the presentation of the underlying data. Within one section of the story, the number of pupils for every Michigan teacher was separately identified as being 17.5 and then later 23. Both numbers come from the 2016-17 school year, but they rely on different definitions of whether a staff member is considered a teacher. The narrower definition encompasses only teachers of basic programs in grades K-12. (Presumably, the broader definition also includes teachers in special education and career programs, as well as other licensed specialists assigned to work with students.) Michigan's ratio of 23 students for each teacher has trended down slightly the past five years, after three years of growing in the wake of the recession. The most recent student-teacher ratio is only about 2.5 percent higher than the pre-recession low of 2009. For at least the last decade, classroom teachers have consistently made up only about one-third of the employees working in Michigan's public schools. In 2016-17 one public school employee represented each 7.7 students enrolled, a number only slightly higher than late last decade. Consider what would happen if we accepted the article’s assertion and pushed to reach a student-teacher ratio of 20:1. That goal would require hiring more than 10,000 full-time teachers. Based on an average compensation rate, the cost in combined extra salary and benefits would top $900 million. A more cost-effective approach would be to have schools reallocate dollars spent on other nonteaching staff or other expenses. This option would also benefit from the fact that local education officials don't need to wait for Lansing to do anything to make it happen. But even if they achieve their goal, they can't count on it to move the needle on student achievement. For that, schools should be less concerned with how many students are sitting in a classroom and more concerned with who’s standing at the front of it. In other words, the research strongly suggests that teacher quality matters much more than class sizes.